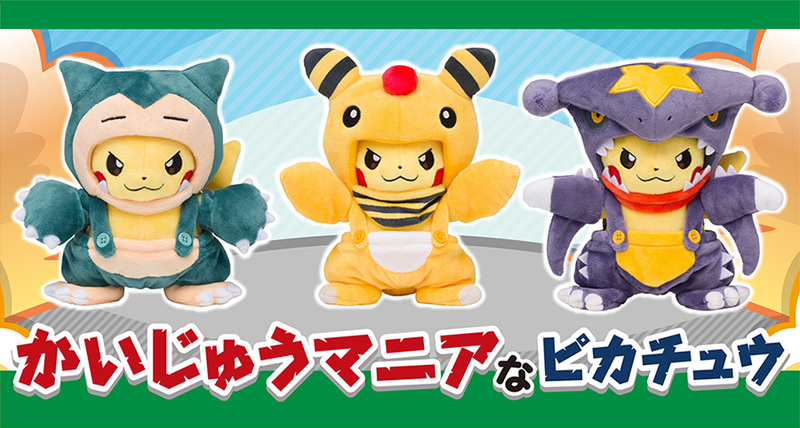 Back in June, The Pokemon Company released four Pokemon Center Kaiju Mania Pikachu Plushies, featuring Pikachu wearing Kaiju Mania style Pokemon costumes. The second series of Kaiju Mania has been announced today. Each plush costs 2300 yen (before sales tax) and will release on October 20, 2018 at all Pokemon Center locations and Amazon Japan (we will let you know once international pre-orders open). Designs available in series 2 are Snorlax, Ampharos, and Gachomp. Check out the first series here and buy from Amazon Japan.